Never miss a beat, and smash your way to victory with a plug and play GameCube controller adapter for your Switch, PC or Wii-U. 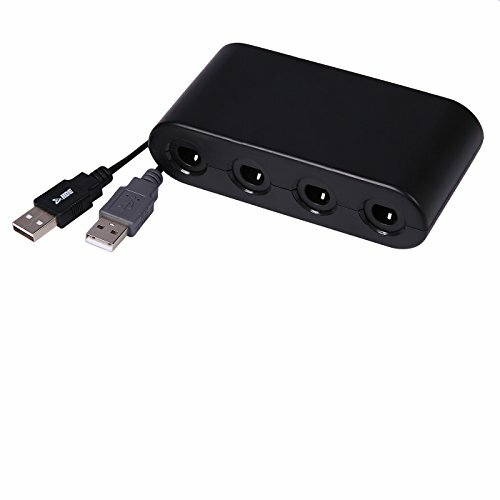 Easy to use adapter allows up to four GameCube controllers to connect up to your console or PC for furious multiplayer battles in supported titles. Adapter is also PC compatible allowing you to vacuum up some ghosts, wake the wind, open the thousand year door and take on space pirates once again via emulation. Not all games compatible with GameCube controller adapter, please check compatibility prior to purchase.